The Ex-Christian Scientist is always accepting submissions and story proposals. 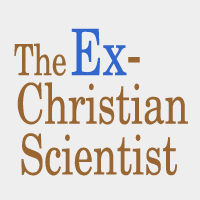 If you would like to share your own experience as a Christian Scientist, we would love to hear from you. Whether your story of evolving personally, suffering, breaking free, or finding a new path, we want to give you a platform to be heard and supported. All former Christian Scientists, regardless of their new religious, spiritual or non-religious perspectives, are welcome to contribute. Positive, negative, humorous, and moving stories, are all welcome. 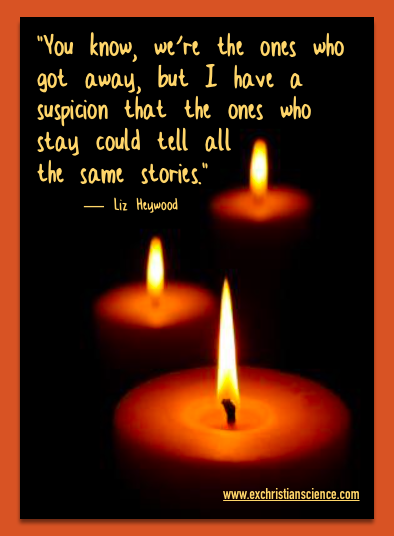 You are welcome to share either anonymously or be credited with your story. We place no pressure on you; that is entirely your decision. We understand that you might not be able or ready to speak out officially. If you need anonymity, we respect that and are still interested in what you have to say. We reserve the right to edit your story prior to posting for clarity, to make content more appropriate for our readership, and to remove unnecessarily triggering or offensive statements.